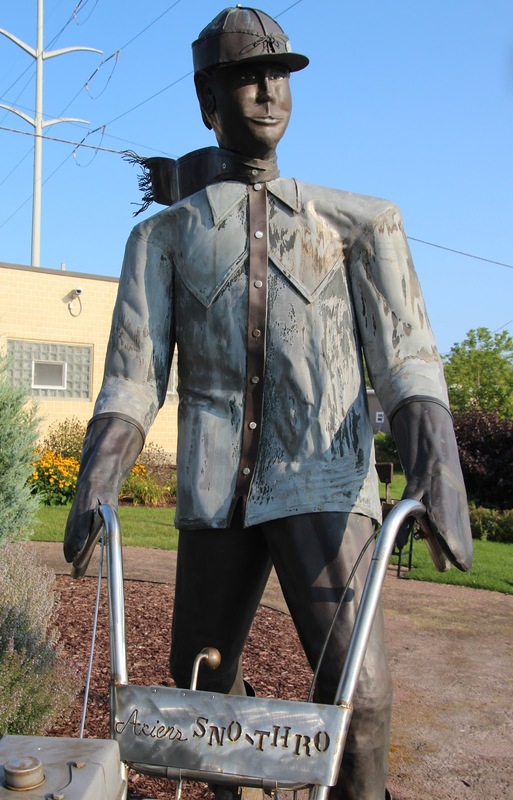 The sculpture is located at an Ariens historical display on located on northbound Main Street / County Highway PP, at its intersection with Calumet Street, Brillion, Wisconsin 54110.
the tree has since been removed. Looking west at northbound Main Street . . .
View of the park from Main Street. Ariens Training Center in Brillion, Wisconsin.